Living Sq. 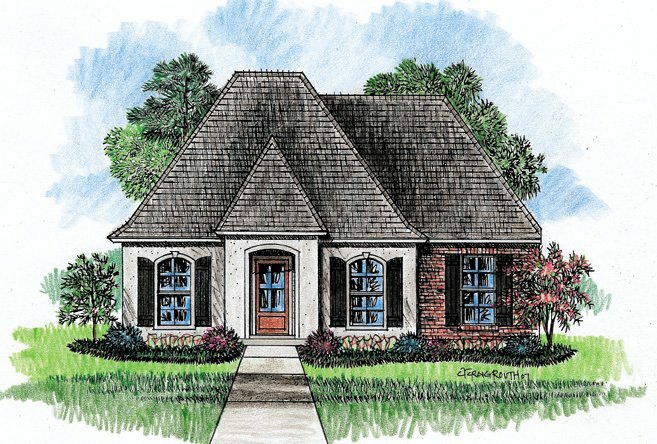 Ft. : 1408 s.f. Total Sq. Ft. : 1930 s.f. With 1408 sq. 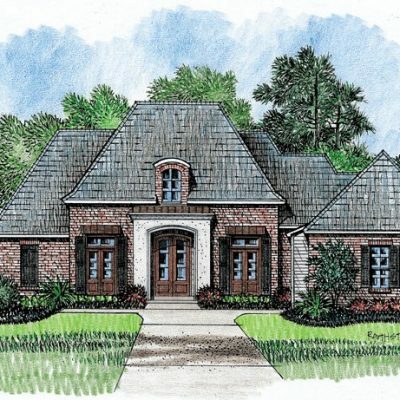 ft., this Zero Lot Country French house plan feels big. 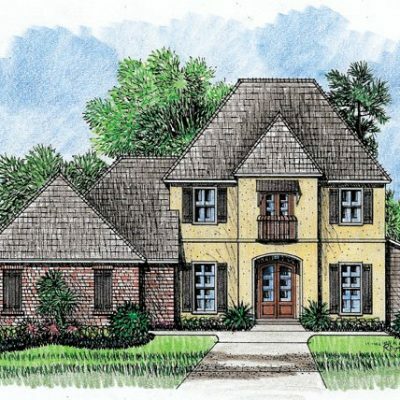 The plan is designed to fit on a lot with zero lot lines, but the home can be built on any style lot you have. The master bedroom features a great walk in closet and a master bath with a garden tub and separate shower. 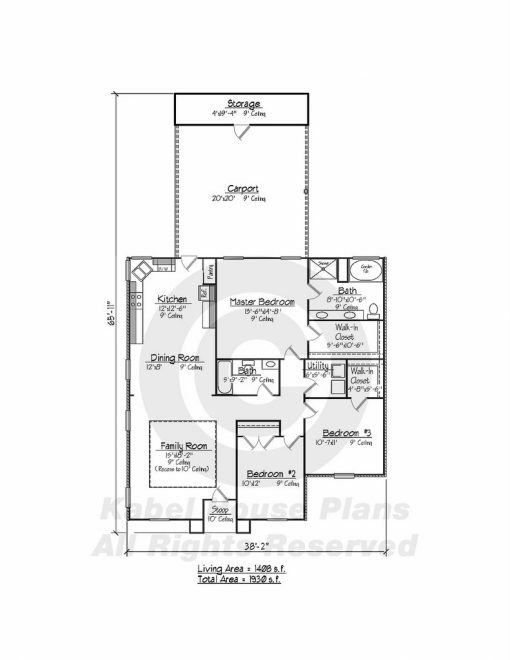 Bedroom number 3 also has a walk in closet. 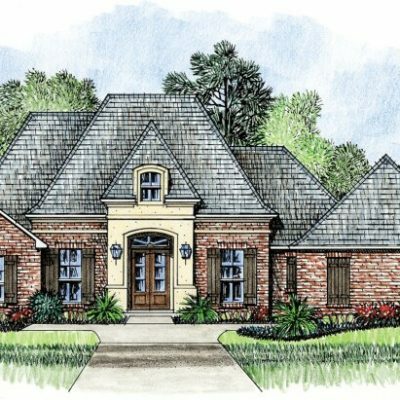 The house’s front door opens to the family room, where your guests will be greeted with a defining 10’ recessed ceiling. Around the back, there is a carport for two cars with storage, which could be transformed into a garage if you would like. 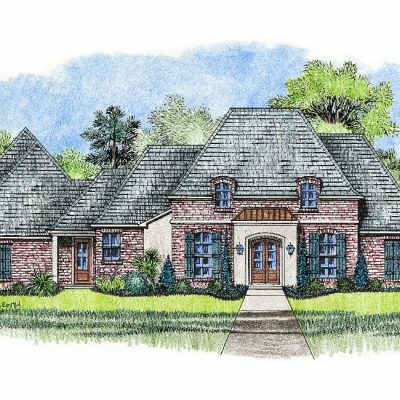 Browse our large selection of Zero Log Country French plans here online and in our Denham Springs, Louisiana house plans show room.